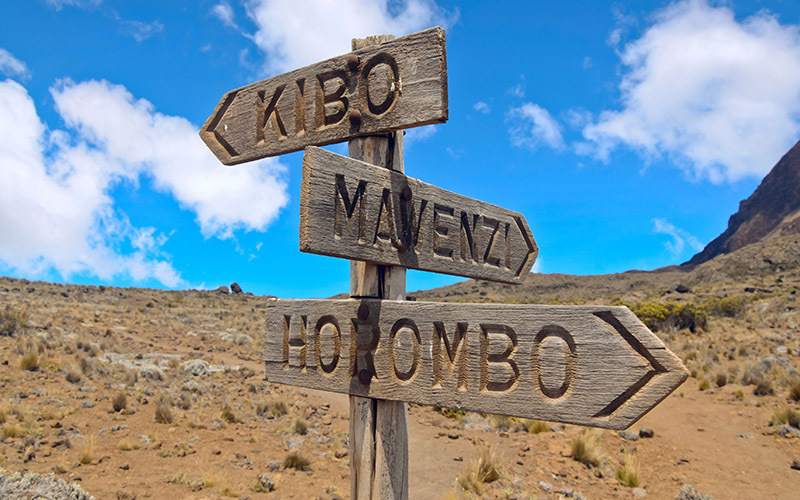 You will be awoken around 11:30 with hot tea and biscuits and will then begin the steep incline up the slopes of Kibo under the cover of darkness. Your first check-point is Hans Meyer Cave where you will take a short break. 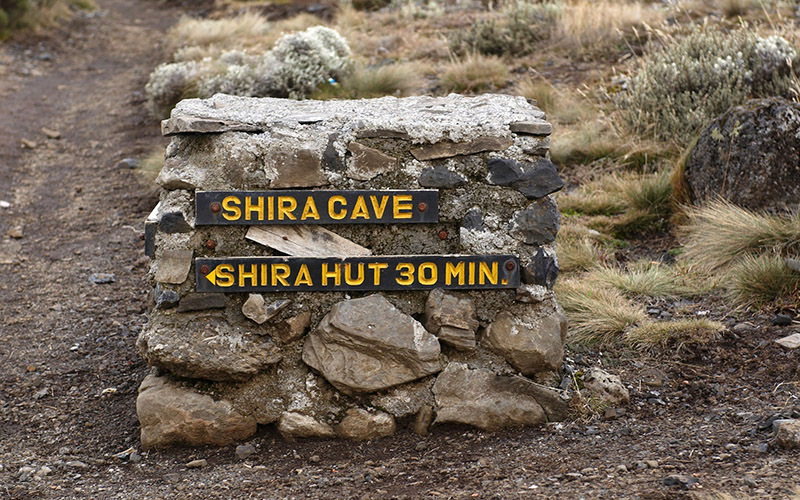 The climb steepens as you approach Gilman’s Point (5,681 meters), which will be around 5-6 hours after departing School Hut. 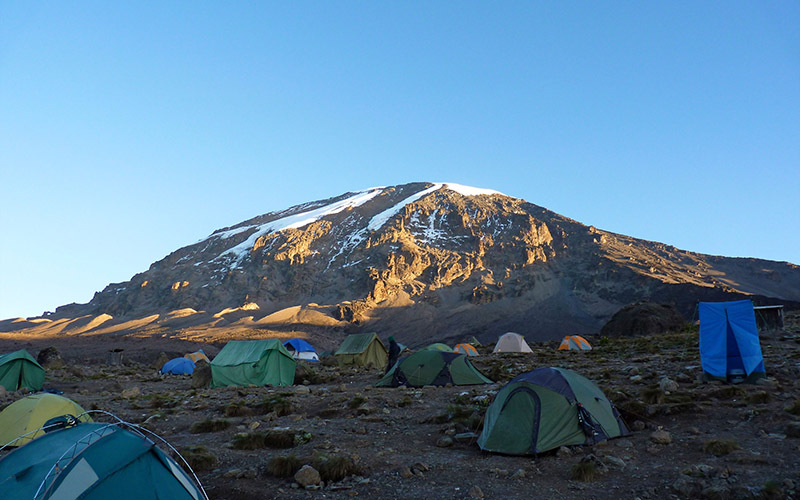 Take a moment to enjoy the approaching dawn and incredible view out and across to Mawenzi Peak, but remember you still have 2 hours trekking to reach Uhuru Peak so dig deep for the energy. 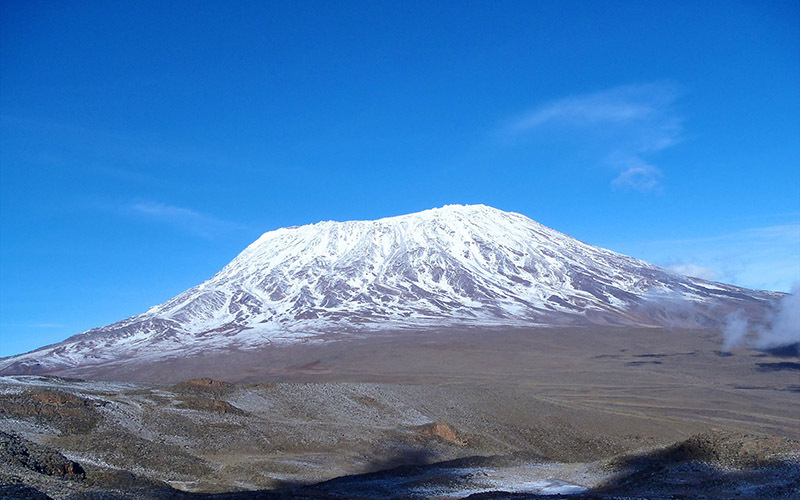 The slope flattens as you head west around the crater rim and you should arrive at the summit at or just after sunrise. Your stay here will be brief so get as many pictures as you can of the incredible views and surrounding glaciers. 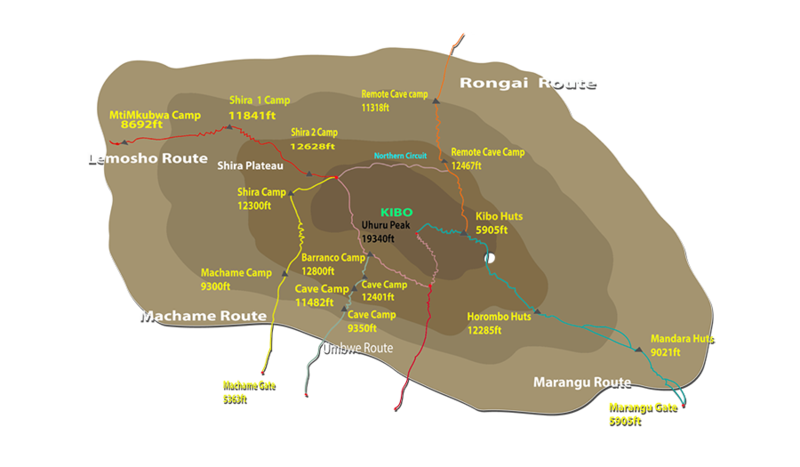 You will then retrace your steps back around the crater rim to Stella Point (5,739 meters) where you will turn south and head down the heavily screed slopes of Kibo to Barafu Camp (4,680 meters). Most trekkers take a short break here before continuing down to Millennium Camp (3,950 meters) for your final night on the mountain. 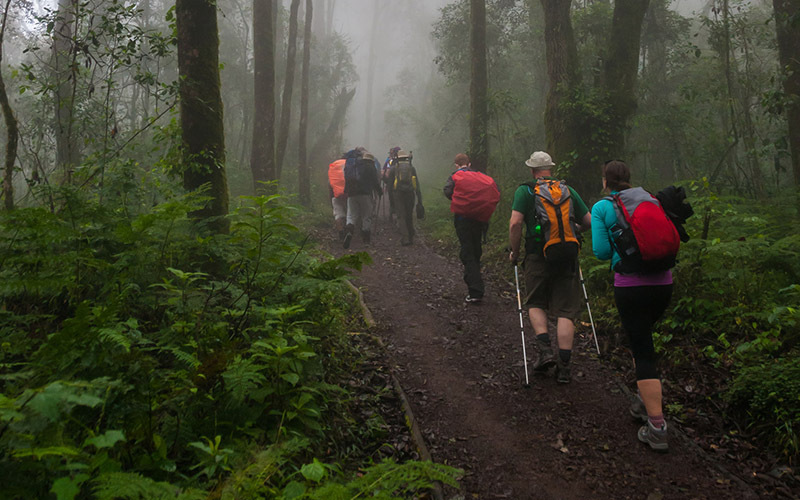 In total you will be trekking for 14-16 hours on day eight so it is important to pace yourself, remain hydrated and keep your blood sugar levels up. 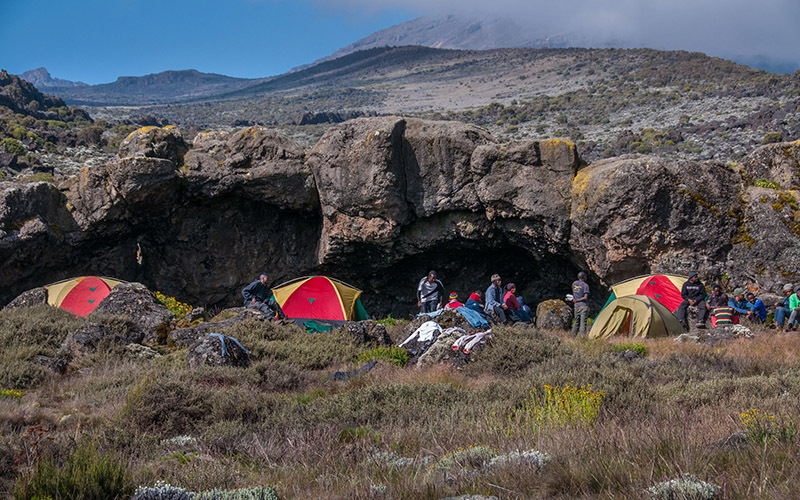 Note: some tour operators return via Gilman’s Point to Horombo Hut using the Marangu Route.